I've decided to make this week "Fall Fashion Inspiration" week to keep in theme with the Fall Fashion Giveaway that I'm co-hosting. It's September, after all, and even though the temperatures are currently still pretty heated, it's just a matter of time, folks, before we'll be once again complaining about the cold weather. Actually, on Friday the high here is supposed to be 94, and the very next day it will be 78. Just signs of things to come. I wore this outfit on Sunday for a family get together with the in-laws. It was my father in law's birthday, and we also capitalized on the fact that we didn't have to go to work Monday. This is the same Barcelona cami that I wore last week here, I just flipped it inside out. Fancy, huh? I just caved on these camis at the tail end of summer, but I guarantee you, I will be wearing them a ton in the fall. The fact that I can turn this cami inside out and style it even more ways just makes it that much more worth the money. Luckily, I had already snagged it at a great price, so basically Express really should just be *paying* me to wear it after all is said and done. 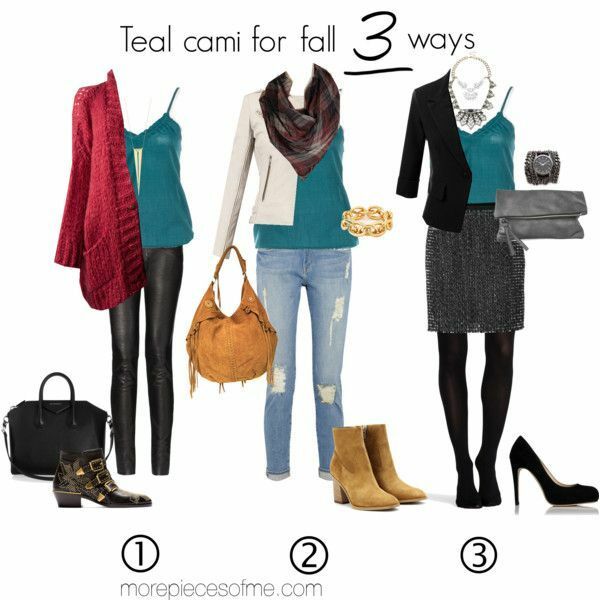 Which of these looks is your favorite, and what summer pieces do you own that you're excited to style for fall? Enter the $450 Gift Card Giveaway! Linking up for: Tremendous Tuesday, #AllAboutYou, Erin and Laura for Trend Spin Linkup, and Stylish Tuesday. Very pretty look! I love your skirt with the zipper detail. I love that detail, too - thank you! Thanks, ashley - it's perfect! That little skirt is so cute, how did I miss it. I would have missed the skirt, too, had it not been for Gina. It's the best! Yes, you can expect me to wear this exact outfit in the near future. 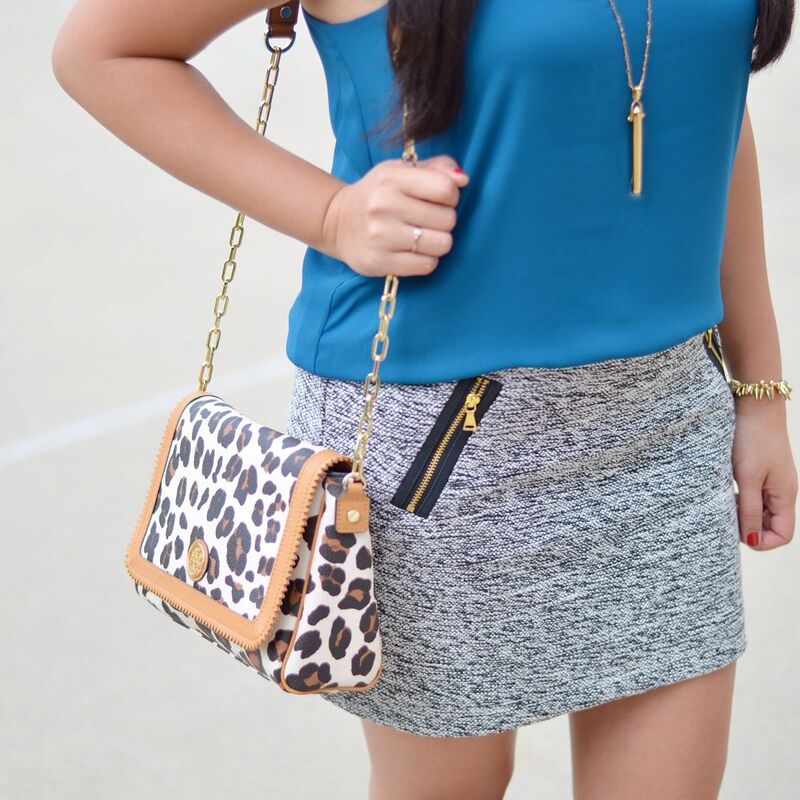 Cami, skirt, and leopard sandals. And a gold bar pendant. So thank you for the outfit, and thank you for the future styling options! I already wanted a white moto jacket and now I want one even more to wear with this cami when the weather cools down! Awww - thank you so much. I was feeling ambitious by doing the polyvores everyday so I am glad you pulled inspiration from that too!! Love this look on you!! The Cami tops I got from express are my favorites as well. They are so easy to wear and feel like they will last a long time. They are so worth it. Yes, absolutely! They're a staple, for sure! I am dying over that skirt!! You styled it perfectly, and it's just so pretty and screams fall! Thanks so much! This skirt was such a great find! What a cute skirt! 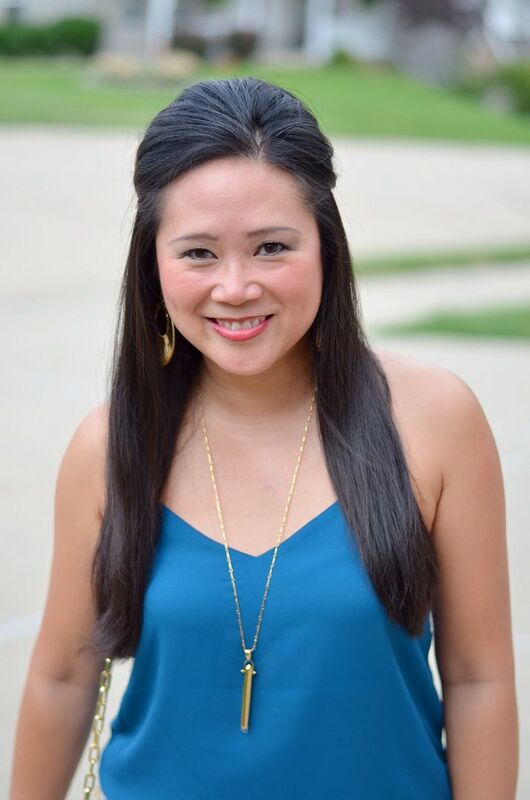 Love your styling options for the cami! My favorite is the middle one - it's totally me! Thank you very much! Love hearing which look is everyone's favorite! I love Look #1! It's something I wouldn't have paired together myself, but I'm learning so much by following you! That's really sweet, girl, thanks! I love thinking of ways to remix stuff - glad you enjoy it! Makes me so excited to layer for the fall!! 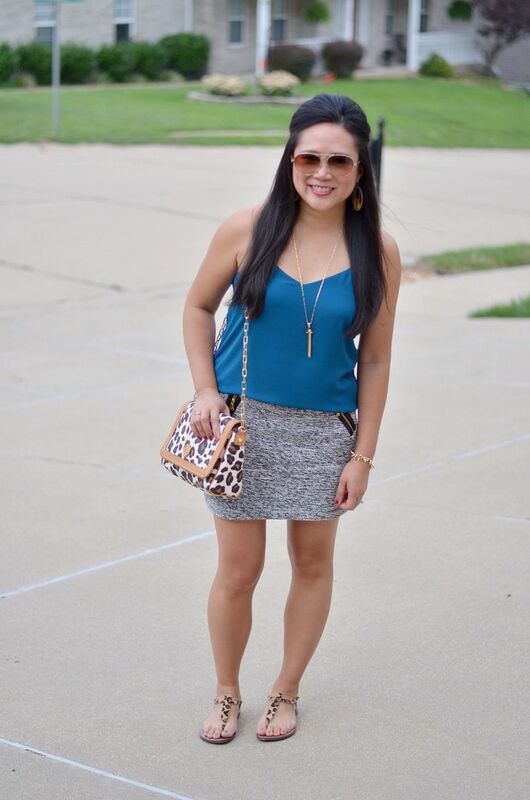 I really love that rich teal and how you styled it with the textured skirt. Ha! Well, in your defense, *I* didn't think I would like it either. I finally caved on getting the lace one and then I realized they're basically like the tank version of a portofino - so versatile and perfect! Glad we convinced you! !